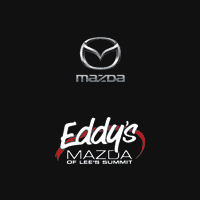 If you’re looking for a Mazda dealership, Kansas City is home to Eddy's Mazda of Lee's Summit. With our Mazda dealership, you have access to a vast inventory of new Mazda models as well as new vehicle specials to help you save on the model you’ve been searching for. In addition to our models, you’ll find we offer plenty of lease and finance specials. Peruse through our offers today! Once you’re ready to get behind the wheel of a new Mazda model, contact us at Eddy's Mazda of Lee's Summit, or apply for financing online to get pre-approved. Recent Arrival! Priced below KBB Fair Purchase Price! Factory MSRP: $22,785 $3,000 off MSRP! 26/35 City/Highway MPGJet Black 2018 Mazda Mazda3 4D Hatchback Touring SKYACTIV® 2.5L 4-Cylinder DOHC 16V 6-Speed Automatic FWD 26/35 City/Highway MPGOur experienced sales staff is eager to share its knowledge and enthusiasm with you. We encourage you to browse our online inventory, schedule a test drive and investigate financing options. You can also request more information about a vehicle using our online form or by calling (816) 434-6040. Servicing the greater Kansas City area (MO & KS) including Overland Park, Olathe, Lawrence, Lenexa, Manhattan, Hutchinson, Leavenworth, Topeka & Mission. Recent Arrival! Priced below KBB Fair Purchase Price! Factory MSRP: $22,785 $3,000 off MSRP! 26/35 City/Highway MPGEternal Blue 2018 Mazda Mazda3 4D Hatchback Touring SKYACTIV® 2.5L 4-Cylinder DOHC 16V 6-Speed Automatic FWD 26/35 City/Highway MPGOur experienced sales staff is eager to share its knowledge and enthusiasm with you. We encourage you to browse our online inventory, schedule a test drive and investigate financing options. You can also request more information about a vehicle using our online form or by calling (816) 434-6040. Servicing the greater Kansas City area (MO & KS) including Overland Park, Olathe, Lawrence, Lenexa, Manhattan, Hutchinson, Leavenworth, Topeka & Mission. Recent Arrival! Priced below KBB Fair Purchase Price! Factory MSRP: $22,985 $3,000 off MSRP! 26/35 City/Highway MPGSnowflake White Pearl 2018 Mazda Mazda3 4D Hatchback Touring SKYACTIV® 2.5L 4-Cylinder DOHC 16V 6-Speed Automatic FWD 26/35 City/Highway MPGOur experienced sales staff is eager to share its knowledge and enthusiasm with you. We encourage you to browse our online inventory, schedule a test drive and investigate financing options. You can also request more information about a vehicle using our online form or by calling (816) 434-6040. Servicing the greater Kansas City area (MO & KS) including Overland Park, Olathe, Lawrence, Lenexa, Manhattan, Hutchinson, Leavenworth, Topeka & Mission. * 63 people have viewed this vehicle! Recent Arrival! Factory MSRP: $21,385 29/34 City/Highway MPGJet Black 2019 Mazda CX-3 4D Sport Utility Sport 2.0L 4-Cylinder 6-Speed Automatic FWD 29/34 City/Highway MPGOur experienced sales staff is eager to share its knowledge and enthusiasm with you. We encourage you to browse our online inventory, schedule a test drive and investigate financing options. You can also request more information about a vehicle using our online form or by calling (816) 434-6040. Servicing the greater Kansas City area (MO & KS) including Overland Park, Olathe, Lawrence, Lenexa, Manhattan, Hutchinson, Leavenworth, Topeka & Mission. Recent Arrival! Factory MSRP: $23,895 $1,000 off MSRP! 26/35 City/Highway MPGBlue Reflex Mica 2018 Mazda Mazda6 4D Sedan Sport 2.5L 4-Cylinder Automatic FWD 26/35 City/Highway MPGOur experienced sales staff is eager to share its knowledge and enthusiasm with you. We encourage you to browse our online inventory, schedule a test drive and investigate financing options. You can also request more information about a vehicle using our online form or by calling (816) 434-6040. Servicing the greater Kansas City area (MO & KS) including Overland Park, Olathe, Lawrence, Lenexa, Manhattan, Hutchinson, Leavenworth, Topeka & Mission. * 52 people have viewed this vehicle! Recent Arrival! Priced below KBB Fair Purchase Price! Factory MSRP: $23,895 $2,169 off MSRP! 26/35 City/Highway MPGBlue Reflex Mica 2018 Mazda Mazda6 4D Sedan Sport 2.5L 4-Cylinder Automatic FWD 26/35 City/Highway MPGOur experienced sales staff is eager to share its knowledge and enthusiasm with you. We encourage you to browse our online inventory, schedule a test drive and investigate financing options. You can also request more information about a vehicle using our online form or by calling (816) 434-6040. Servicing the greater Kansas City area (MO & KS) including Overland Park, Olathe, Lawrence, Lenexa, Manhattan, Hutchinson, Leavenworth, Topeka & Mission. Priced below KBB Fair Purchase Price! Factory MSRP: $24,585 $3,000 off MSRP! 26/35 City/Highway MPGRed Metallic 2018 Mazda Mazda3 4D Hatchback Touring 2.5L 4-Cylinder Automatic FWD 26/35 City/Highway MPGOur experienced sales staff is eager to share its knowledge and enthusiasm with you. We encourage you to browse our online inventory, schedule a test drive and investigate financing options. You can also request more information about a vehicle using our online form or by calling (816) 434-6040. Servicing the greater Kansas City area (MO & KS) including Overland Park, Olathe, Lawrence, Lenexa, Manhattan, Hutchinson, Leavenworth, Topeka & Mission. Priced below KBB Fair Purchase Price! Factory MSRP: $22,785 $1,142 off MSRP! 27/32 City/Highway MPGCeramic White 2019 Mazda CX-3 4D Sport Utility Sport 2.0L 4-Cylinder 6-Speed Automatic AWD 27/32 City/Highway MPGOur experienced sales staff is eager to share its knowledge and enthusiasm with you. We encourage you to browse our online inventory, schedule a test drive and investigate financing options. You can also request more information about a vehicle using our online form or by calling (816) 434-6040. Servicing the greater Kansas City area (MO & KS) including Overland Park, Olathe, Lawrence, Lenexa, Manhattan, Hutchinson, Leavenworth, Topeka & Mission. Priced below KBB Fair Purchase Price! Factory MSRP: $23,470 $1,162 off MSRP! 29/34 City/Highway MPGTitanium 2019 Mazda CX-3 4D Sport Utility Touring 2.0L 4-Cylinder 6-Speed Automatic FWD 29/34 City/Highway MPGOur experienced sales staff is eager to share its knowledge and enthusiasm with you. We encourage you to browse our online inventory, schedule a test drive and investigate financing options. You can also request more information about a vehicle using our online form or by calling (816) 434-6040. Servicing the greater Kansas City area (MO & KS) including Overland Park, Olathe, Lawrence, Lenexa, Manhattan, Hutchinson, Leavenworth, Topeka & Mission. Whether you’re searching for the perfect Mazda CX-9 or a flashy compact Mazda CX-5 has caught your eye, you’ll find it and more in our inventory of 121 new Mazda models for sale near Kansas City. Explore the SKYACTIV® Technology and available AWD that makes the Mazda one of the most responsive vehicles on the road, test out the MAZDA CONNECTTM system and see how easy it is to get directions to that new Overland Park restaurant, or just sit back and enjoy an exceptionally well-designed vehicle engineered around your needs. Search our inventory to find your perfect fit here, then read on to learn why more Olathe shoppers are making the trip to Eddy’s Mazda in Lee’s Summit, the Mazda dealership Kansas City drivers can trust. Why Eddy’s Mazda of Lee’s Summit? Stop by Eddy’s Mazda of Lee’s Summit and see the difference it makes when your auto dealer works for you.